On 12 November 2017, WHO organized the first multistakeholder meeting in Bucharest, Romania, to create a shared vision of health within the context of the 2030 Agenda for Sustainable Development. Participants discussed ways to achieve health and well-being for all at all ages as part of the implementation of the Sustainable Development Goals (SDGs). This is in line with the 2030 Agenda, which calls for involving different sectors and stakeholders in actions aimed at sustainable development. 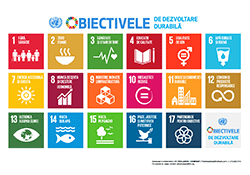 Romania is currently revising its national development strategy and nationalizing the SDGs. It is also developing a voluntary national review for the 2018 session of the United Nations High-level Political Forum on Sustainable Development, the body that oversees the follow-up and review of the 2030 Agenda and the SDGs at the global level. Voluntary national reviews facilitate the sharing of experiences to accelerate the implementation of the 2030 Agenda. They also seek to strengthen policies and institutions and to involve stakeholders and partners in SDG implementation. The meeting engaged representatives from several Romanian institutions, including the Government Department for Sustainable Development; the ministries of health, environment, and water and forests; the National Institute of Public Health; and Carol Davila University of Medicine and Pharmacy. It also gathered experts from WHO, the United Nations Development Programme and the United Nations Children’s Fund. Participants discussed next steps for revising the national development strategy and for mainstreaming environment and health within it. They also discussed an outline of the voluntary national review, interventions required to leave no one behind and to strengthen health systems, and multisectoral action for health and well-being. Participants agreed that training on sustainable development would enable health professionals in Romania to better contribute to the achievement of health and well-being for all at all ages. WHO confirmed its support for Romania’s efforts towards sustainable development, and committed to organize a technical meeting to increase awareness and build capacity among health professionals on sustainable development.